Hayes Bypass (A312) just prior to opening. Hayes, Middlesex. 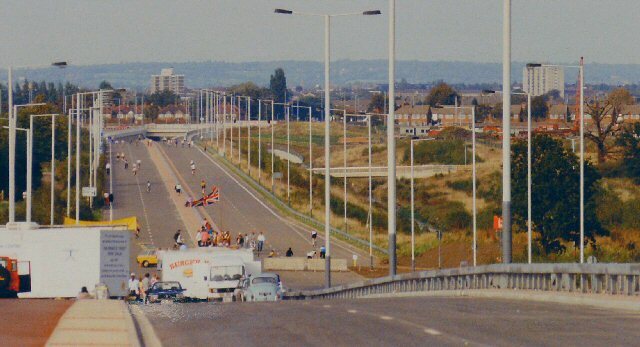 This new dual carriageway was built to carry the traffic round Hayes Town. The view shows the road complete, but not yet open. On this occasion it is being used for a recreational cycling event. View taken from the road flyover near Bulls Bridge, looking N towards the Uxbridge Road underpass.